Whether it's a quick trip to the summit or a multi-day hike, the Merrell Outmost Mid Vent Waterproof Hiking Boot has everything you need and nothing to hold you back. It's made from waterproof suede with mesh panels for breathability and paired with M Select™ DRY waterproofing that's a great way to stick to your outdoor plans even if the weather looks like rain. And thanks to the M Select™ FIT.ECO Footbed which features a Merrell Air Cushion under the heel, you'll have cushioned comfort in every step. "Sizing - Should you get the same size as a regular shoe? " "Thank you for your inquiry. According to customer reviews Merrell boots are always at least a half size smaller than what you would normally buy. If you wear a size 8 shoe, you need to order an 8.5 or a 9 if you hike with thick wool socks. If your feet swell when you hike, go a full size up. We hope this information helps! " "What colors are this boot? Sort of a khaki brown with pink trim? " "Thank you for your inquiry. 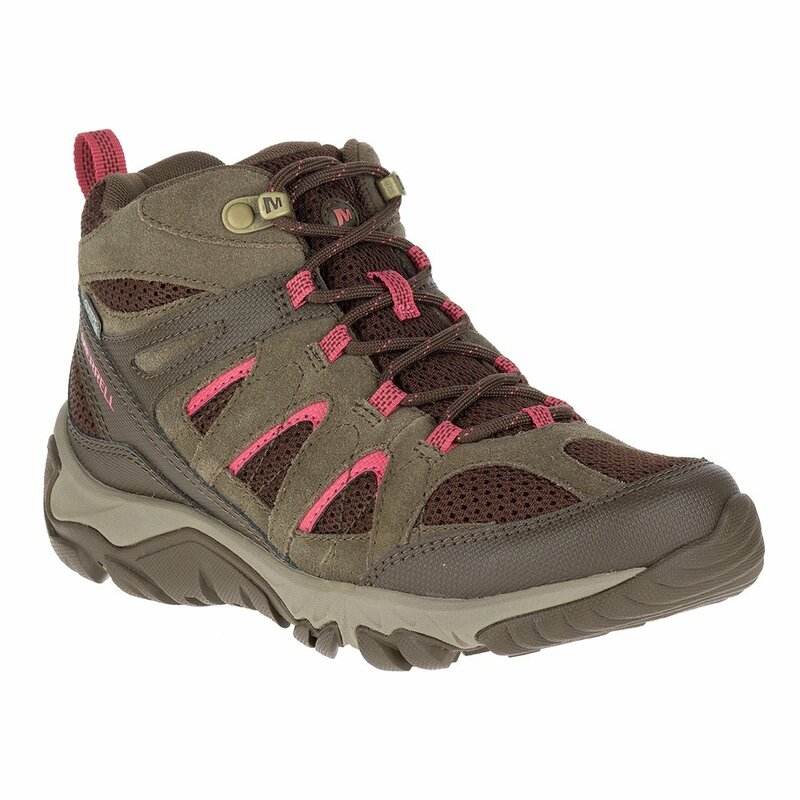 The "Merrell Outmost Mid Vent Waterproof Hiking Boot" hosts an array of scaling brown colors from the mud brown sole, heel and toe to the brown/green mix webbing that surrounds the chocolate breathable mesh highlighted with pink trimmings. We hope this answer helps with your Peter Glenn selection and purchase."